Problems with I-66 toll lane slowdowns at the height of the morning rush hour have the Virginia Department of Transportation wondering what it would take to get drivers to set their alarms even 30 minutes earlier each morning. WASHINGTON — Problems with Interstate 66 toll lane slowdowns at the height of the morning rush hour have the Virginia Department of Transportation wondering what it would take to get drivers to set their alarms even 30 minutes earlier each morning. 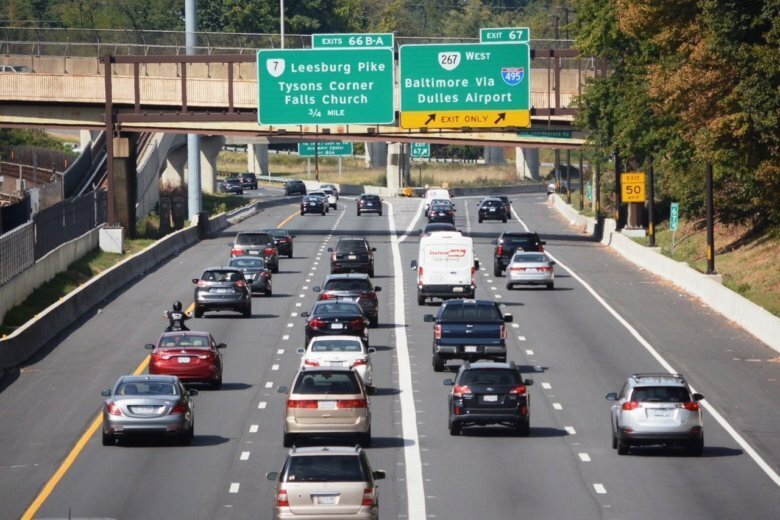 The peak tolls for solo drivers — more than $40 for a full trip between the Beltway and Rosslyn — consistently come around 8:30 a.m. to 8:45 a.m., when average speeds in April slowed below 35 mph. About two-thirds of the vehicles on the road at that time are riding free — motorcycles, buses, and cars carrying at least two people with an E-ZPass Flex switched to HOV mode. Speeds in the morning remained slower than the same period a year earlier between 7:30 a.m. and 9:15 a.m.
“If people are aware that that is the peak period, and that they could save money by perhaps adjusting their travel by 30 minutes or so, that might help make different decisions,” Virginia Transportation Secretary Shannon Valentine said Thursday. At 7:45 a.m., the average speed in April was 50 mph, and the average toll was lower. VDOT has declined to provide detailed breakdowns of average tolls by hour or by day of the week. While one way to deal with the slowdowns around 8:30 a.m. could be to raise tolls even higher as speeds significantly slow at that time, Valentine hopes changes to the tolling algorithm, along with better communication to commuters, could provide a different path if drivers change how they commute to either carpool, take the bus or go in at a different time. “That’s what we’re really trying to do — how do we lower the tolls to move more people?” she said. VDOT is considering how much cheaper tolls might have to be to get drivers who will not stop driving alone to at least change when they hit the road — for instance, by telling drivers the toll is significantly lower at 8 a.m.
VDOT is also considering more significant changes to the toll pricing algorithm, such as lowering the target speed for the road at least some times of day or days of the week, which would likely lead to tolls rising more slowly. There is no particular timeline for those larger changes yet, Valentine said, but they could happen this summer based on the six months of tolling data the state has now collected. The state can also make smaller tweaks to the algorithm on a more routine basis to see how drivers react. There is no cap on toll prices, though, and if the alternatives do not work, the system is designed to continually raise toll prices until enough solo drivers choose a different route to allow traffic to continue flowing. “Because this is a true dynamic tolling system where people are making decisions in the moment based on the cost, it is true capitalism. … If we mandate certain limits, we can’t adjust it,” Valentine said.